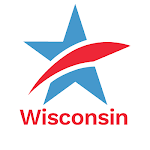 The recent machinations by Governor Scott Walker and the majority party in the Wisconsin Legislature were not rushed to the forefront of state government consideration to "save taxpayer dollars" or to "avoid confusion." There is not a single person in the Capitol – and very few outside of it – who believe that to be the case for a second. Everyone knows that this measure to dramatically change the decades-old law governing the responsibility of the Governor to call for a special election to fill, as soon as possible, the seat of a State Senator or State Representative who leaves office prior to the completion of her or his term, is being undertaken for purely partisan reasons. Namely, the fear that the majority party may lose one or both of the two currently vacant legislative seats – one in each chamber – because of the current state of the political "atmosphere" in Wisconsin and in much of the rest of the nation. The biggest losers in this obvious exercise of partisan political muscle are the citizens of Wisconsin's 1st State Senate and 42nd State Assembly Districts, who will have been robbed of elected representation in the Legislature for over a year and thus have had no voice as the Legislature considers and votes on critical legislation such as this proposed, ill-advised measure. This legislation also undermines the rule of law by circumventing explicit court orders for the Governor to call special elections that could easily be held in June to fill both vacancies. Whenever one or two of the three branches of government take aim to defy and circumvent the lawful decisions issued by the remaining branch, our democratic institutions are shaken and citizen confidence in all three branches is diminished. Certainly the Legislature has the right to make new laws. That is their function. But when the law serves only the narrow, partisan political interest of the majority party while undermining the greater public interest, as this measure irrefutably does, then citizens must resist. This has occurred, in similar ways, in too many matters over the last eight years. Enactment of one of the nation's most extreme and restrictive voter photo ID laws, the most partisan political gerrymander of state legislative districts in the nation in 2011, the destruction of the non-partisan Government Accountability Board, the exemption of only politicians and political crimes from investigation under the state's effective John Doe law, the retroactive decriminalization of campaign coordination between candidates and so-called independent special interest groups engaged in phony issue advocacy, the elimination of almost all meaningful disclosure of outside campaign spending, the elimination of limits on money flowing to legislative campaign committees and political parties. The list goes on and on. And now this. The majority party may gain some small, temporary partisan advantage by enactment of this misguided measure to change the rules governing special elections. But at some point soon, the day of reckoning will come for this, and for all the other measures that have diminished democracy and undermined the ability of citizens to expect and attain a responsive and responsible state government that serves the public interest instead of the self-serving, partisan interest that currently dominates public policy in Wisconsin. Statement of CC/WI Director Jay Heck on Proposed Measure to Change State Law on Holding Special ElectionsTweet this!